What's the #1 productivity killer? They'll stop productivity dead in its tracks. 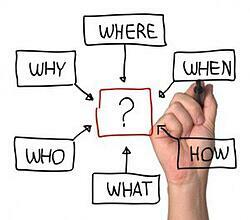 Whenever there is a question, it means there's a knowledge gap. And things won't get done (at least completely done) until that gap is filled. Questions can stop productivity in two ways - it stops the person performing the task, and it stops the person who has to answer the question. In some cases, a whole team will stop work to hear, and then try to answer, a question. Now there's no way that you can eliminate questions (nor would you want to), but if you could reduce the number of questions that have to be asked, decrease the time it takes to answer the remaining questions, and remove the need for other people to get involved in order to answer every single question, then you can make great strides towards creating a turnkey business and increasing productivity. There are a ton of tools that we use to resolve different kinds of questions, and I'll talk about those in future posts. Today, I'm going to share with you 3 writing tools that I use to reduce the number of questions that I have, decrease the time it takes to answer those questions, and almost completely remove the need to get anybody else involved. Here are some examples of how I'm using them to make my day more productive. I talked about TextExpander in an earlier post, 7 Tools to Improve Your VSS Experience, but I think it's such a great tool that I wanted to talk about it again. TextExpander is a tool that allows you to type in abbreviations, which it then expands into predefined text called snippets. For example, instead of writing out your email address, you could write "-em" and it would pop out johndoe@janedoe.com. TextExpander's webpage markets the tool this way - "Type more with less effort! TextExpander saves your fingers and your keyboard..." And I agree, having to write my email over and over again gets annoying, and this tool removes the annoyance. But it can also be used in a way that removes questions, and that's why I love it so much. Because I've been in a junior position for most of my career, I'm often writing emails on behalf of others. And every time I write for someone else, I'm stumped by the question - "What should I say?" Or more specifically, "What does my boss want me to say?" With TextExpander, I don't have to answer that question as often, which also means that I'm not bothering somebody else. Let me give you an example of how we use it. When we were signing customers up for our latest Beta release, we had to send out informational emails. We set up TextExpander to sync with DropBox so that Greg could write snippets that were then saved to my local version. This allowed me to simply open up a new email, type the abbreviation, have Greg's snippet pop in, and I could send an email that said exactly what Greg wanted it to say - no guessing. It was so nice to not have to constantly ask Greg multiple times what he wanted me to say. Or to have to go through old documents/emails to see what I wrote to the last person and then copy and paste. I can just write the abbreviation and out comes the email. Now I can be super productive when sending out emails on behalf of Blue Mango because I'm not stumped by the question, "What should I say?" At my previous place of employment, I had three passwords I had to remember for my computer, and two or three others for client deliverables. That's not too difficult to manage. After a month of being at Blue Mango, I had about about 30 passwords - way too many to keep track of in a Word document. I tried that for a few weeks and I found myself constantly asking, "what is my password?" Or "Where did I put that password?" Resetting my password got old very quickly. I eventually broke down and purchased [1Password](https://agilebits.com/onepassword), and I'm so glad I did. Not only does it enter the password for me via a hotkey, but I don't have to remember where or what my password is! That has honestly saved me so much frustration - I can now just bounce around to different web applications and just crank out whatever I need to do. I love never having to answer the question, "What's my password?" Whenever I write a blog post, I have my computer read back to me what I wrote and I'm constantly forgetting how to make my computer do that. So when Greg told me that [PopClip](http://pilotmoon.com/popclip/) made it easier to do that, I immediately wanted to buy it because it meant that I just had to answer the question, "I wonder how this blog post reads?" instead of "How do I make my computer read to me?" But I found out that it can do a ton more with its PopClip Extensions, and now I don't have to answer the question, "Where is 'paste and match style'?" Or the question, "What does this word mean?" Or the problem "How do I get all of these capital letters to be lowercase?" Along with a bunch of other common questions I have while writing. It's like a question answering machine! It saves me so much time because I don't have to search all over the place to perform these simple things that I need to do all the time. Now you might not be able to, or want to, use these specific tools - you might have other tool sets that you use that will accomplish the same thing. That's fine. The purpose of this post isn't to promote certain tools - rather, it's to get you thinking about solving the #1 problem holding you back from being more productive. Try to discover ways that you can reduce the number of questions you ask, decrease the time it takes to answer the remaining questions, and remove the frequency others get involved so that you and your team can increase productivity. To see how we're using other tools to increase our productivity, check out our webinar, "Build a Turnkey Business: Phase II." Jonathan (Jay) DeVore is the Director of Marketing at Blue Mango Learning Systems, developers of ScreenSteps. 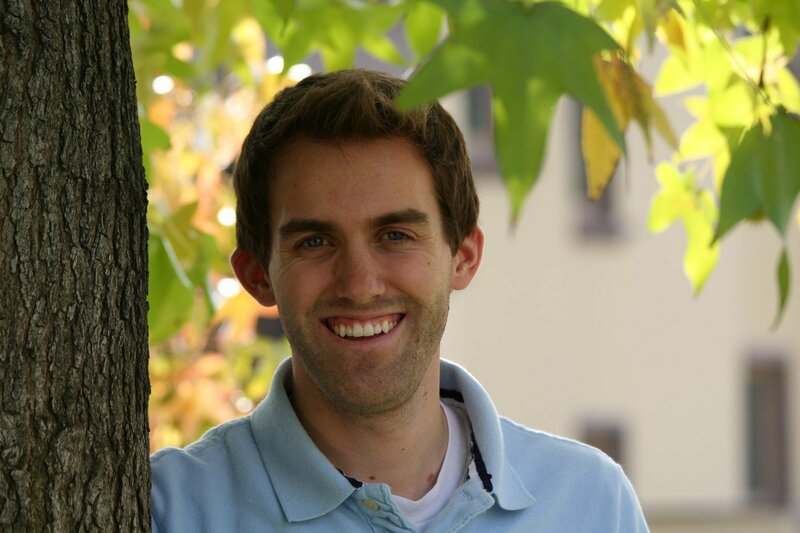 He graduated from Brigham Young University with a BS in Accounting, and is a licensed CPA in the state of Virginia. Right after graduation, he worked for his dad's private medical practice in Pasadena, CA auditing the efficiency of billing and collections. After 9 months of living in the golden state, he moved his family to Virginia to begin working at PricewaterhouseCoopers (PwC). As an accountant at PwC, he actually did very little number crunching (which surprised him), and instead audited government information systems for compliance with government requirements (e.g. NIST 800-53). During his time with the Big 4 Accounting Firm, he helped large organizations improve their documentation both from a compliance perspective and instructional perspective. His favorite aspect of work was training/teaching, so when Greg and Trevor approached him with an opportunity to create educational content for ScreenSteps, he jumped at the chance. Jonathan lives in Northern Virginia with his wife and children, and enjoys the beautiful weather the D.C. area offers 9 months out of the year.